Welcome to the St Margarets Community Website Newsletter (www.stmgrts.org.uk). Occasional Thursdays we will send you the latest news and events from the website. 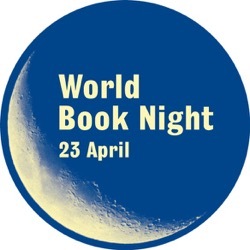 How will you be spending World Book Night on 23 April? Richmond Libraries will be celebrating it the same way they have done for the last five years - by donating books to readers around the borough who may not have easy access to them. 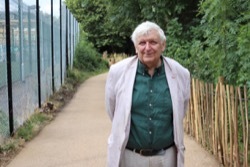 It looks likely that over 200,000 people a year will use Twickenham Rough the newest green space in Twickenham which was formally opened in October by the Council and the developer St James. Ninety five percent of in-borough applicants have been offered a place at one of their first three preferred primary schools. 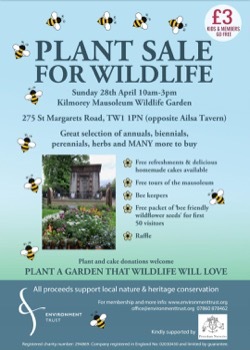 The weather must be warming up because there have certainly been some signs of life down at Kilmorey Mausoleum. Could it be that 'Black Jack', the 2nd Lord Kilmorey, and his mistress, the youthful Priscilla, occupants of this Victorian vault for nearly 140 years are waking inside their velvet lined coffins and preparing to welcome this year's visitors? We would appreciate it if you forwarded a copy of this newsletter to all of your friends in St Margarets and encourage them to sign up for the Newsletter. Here are the events coming up in the next few weeks in our area. To see all the events we are tracking, check out our events section. Here are the plays that are currently running or happening soon in our area. To see all the plays we are tracking, check out our events play section. If you have any local news, events or information that should go up on the site, please email us at: content@stmgrts.org.uk. If you need to change your email options, please go here: https://stmargarets.london/cgi-bin/newsletter.cgi .